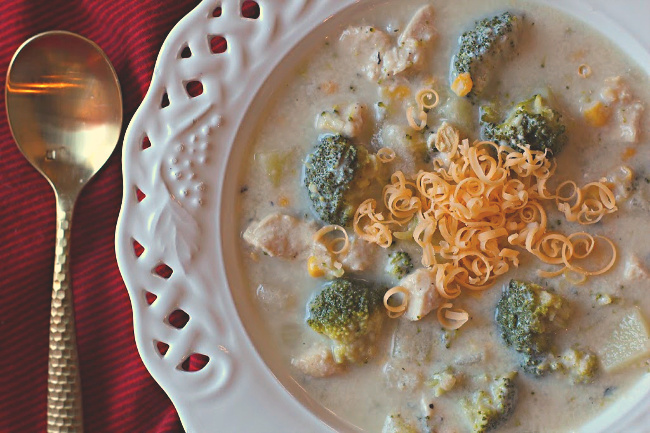 This hearty and easy vegetable chicken chowder lives up to its name. It’s easy and it’s cheesy. And your family will love this hearty vegetable and chicken-packed soup. Once you’ve completed the chopping and quick cook on the stovetop and it’s ready in around thirty minutes. Don’t you love finding a soup recipe that will have your family asking for seconds? A good hearty entree -style soup that is satisfying, stick-to-your-ribs good? This chicken chowder recipe is one that I could eat in the middle of a Summer heat wave, or on a cozy Winter evening. It’s that good! 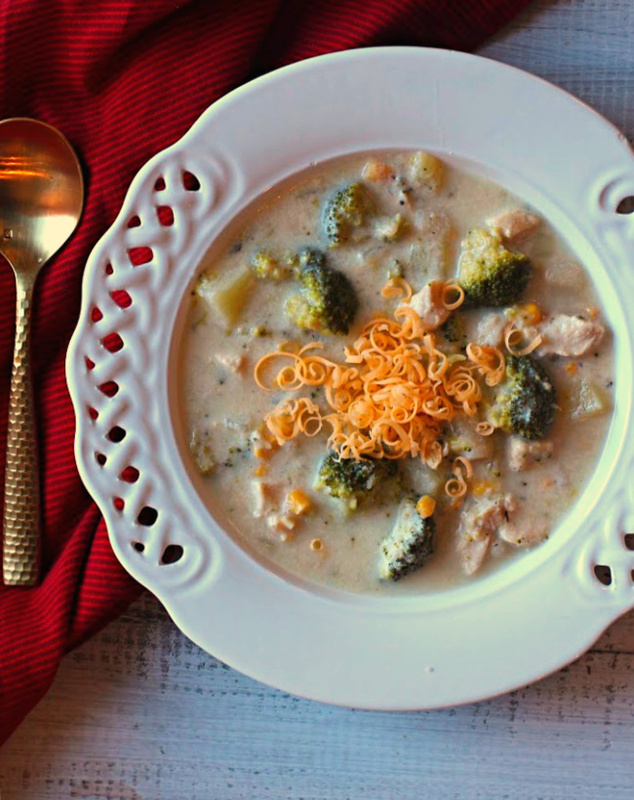 With tender chunks of chicken breast, bite sized pieces of potatoes, fresh broccoli and “chowderized ” with sweet corn, its made creamy using cream of potato soup, milk and cheese. 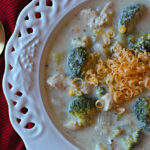 It’s a combination of your favorite broccoli cheese soup and chowder soup recipes. and finish it up by adding cooked chicken breast (rotisserie chicken works well here) , cream of potato soup and cheddar cheese. And speaking of rotisserie chicken, take a look at this article from Taste of Home, Who Has The Best Grocery Store Rotisserie Chicken. I happen to agree with their #1 choice. How about you? Grab those soup bows and dig in. Who can resist a creamy soup of chicken, cheese and potatoes. Adding broccoli brings some color and corn brings that official chowder goodness. I hope you give this chicken chowder recipe a try, and if you do, please come back and give the recipe a star rating. And leave a comment about your experience with this recipe. And if you have a favorite chicken chowder, or vegetable chowder recipe, let me know, I’d love to give it a try. This hearty and easy vegetable chicken chowder lives up to its name. It's easy and it's cheesy. And your family will love this hearty vegetable and chicken-packed soup. Once you've completed the chopping and quick cook on the stovetop and it's ready in around thirty minutes. Heat a large saucepan or Dutch Oven over medium high heat. When butter has melted, add onion. Cook until soft, about 3 minutes. Add chopped potato and water. Bring to a low boil and cook potatoes for 5 minutes. Add broccoli, corn, cubed chicken and thyme. (add raw chicken now if using cooked chicken, add in next step) Reduce heat and simmer covered, for 10 minutes, or until all vegetables are tender and chicken is cooked through. Do not drain. If you're using chicken from a rotisserie chicken, or pre-cooked chicken breast, add the chicken now. Stir in milk, potato soup, pepper and 1 cup of the cheddar cheese. Cook and stir over medium heat until cheese is melted and soup is heated through. Serve in shallow soup bowls (for appearance, so vegetables and chicken won't sink to the bottom) and sprinkle remaining cheese over each serving. It's important to chop the potatoes into roughly 1/2 inch cubes. This will help them cook quicker. Sounds great LeaAnn. We just had soup tonight and it seems to cure everything! I agree with you– I could eat soup all year long– but it is especially welcome this time of year. Pinned! This sounds soo good and I like the easy of making it. I never think of broccoli for soup (unless it’s the broccoli cheese variety). This sound so comforting and delicious. Good for the holidays! I never tire of soup recipes! 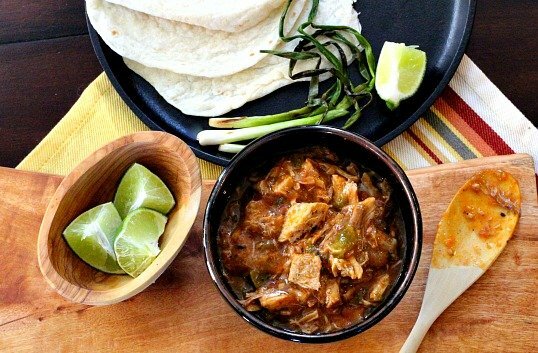 This looks really terrific — tasty and hearty, my favorite combo. Thanks. And Happy Holidays! I’ve never had a “chowder” that I didn’t love and I can tell that this is would not be an exception. This looks SO good!!! Hope you have a wonderful Holiday!! Looking forward to more of your cooking in 2019. Hi Lea Ann, you posted this recipe back in December and I made it and Wow, it is now in our “favorites” soup recipe file. It turned out great, we loved it. 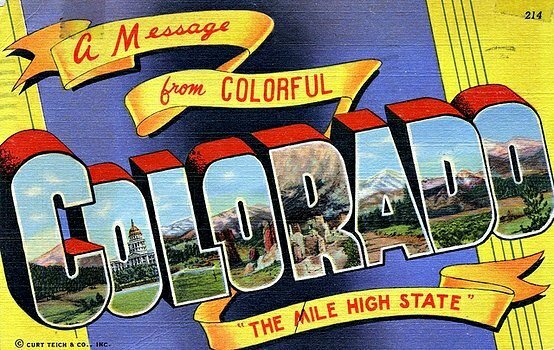 I think it’s time to make it again! Thanks for all you do.